It was nearly a year after I met Co. Fee that I'd ever here his material. A member of the Los Angeles collective, My Hollow Drum, Co. Fee's tracks are playful, big and ready made for club systems. Influences felt from Prince Paul, N*E*R*D, library music and Bollywood, Co. Fee is one of those producers with the potential to target commercial audiences. Co. Fee and I met while we both were attending the University of Cal State Fullerton in early 2005. While I was doing the radio show, he was working with another local, up and coming producer named Teebs, as the production duo ‘Bearded Baby’. To this day, the only official material Bearded Baby ever released was a remix of the Crystal Castles/Health track, "Crimewave". Now, after all these years, Co. Fee has finally released his solo material in the form of an EP called Easy Listening. Limited to 100 vinyl copies (which sold out in one day), it's available now on iTunes, Amazon and other digital retailers. With his music finally reaching the public, you should get used to hearing his tracks out a lot more. 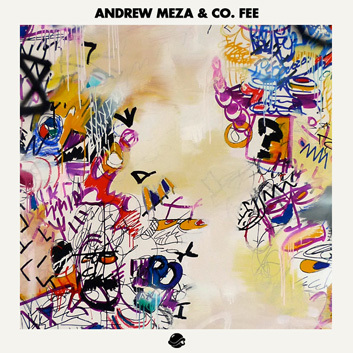 This mix was originally posted as one file, following two shows that Andrew and Co. Fee played together in late 2009. The mixes are now split for your listening convenience. Co. Fee - Venice Blvd.